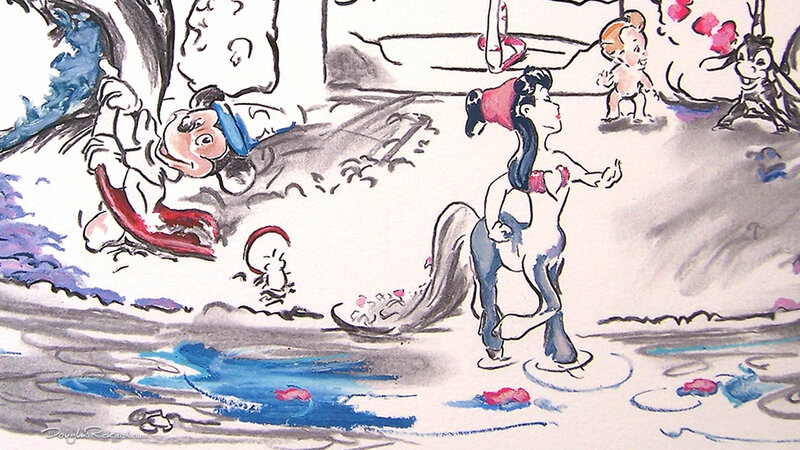 A never-built theme park land with a “Fantasia” boat ride in Florida… it would have featured centaurettes and cupids and flying horses and I wish it had materialized. However, I’ve always said that positioning Walt Disney Classics Collection sculptures throughout your house can transport you to one of the park attractions. 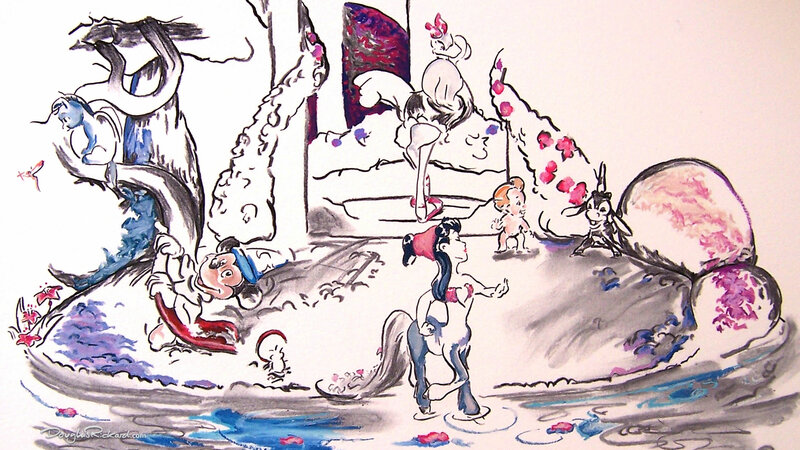 And the style of my “Story Lines” series of WDCC still-lifes in particular lends itself to this, so “Fantasia Characters,” my newest addition, compliments previous releases like the “Alice in Wonderland Characters,” a drawing composite reminiscent of the existing Wonderland dark ride in California. Eight sculpture drawings even including one of the dancing mushrooms are planted around my still-life of the WDCC “Enchanted Places” Gazebo and surrounded by a twisting river in charcoal and oil pastel. I hope this art will help you imagine sitting back and enjoying that mythical boat ride that nearly was. Rose red, royal blue – can you guess the clue? Are these rose red diamond shapes, nestled in clouds of royal blue a clue? Can you guess of whom (or what) my next still-life of a Walt Disney Classics Collection sculpture will be? Rose red diamond shapes nestled in clouds of royal blue. Visit again and you’ll see something new! I’ve replenished my “It Sparkles” Summer ’12 Art Exhibition, which got an extension by a whole month through to July 31st, with nearly 50 percent new art prints. 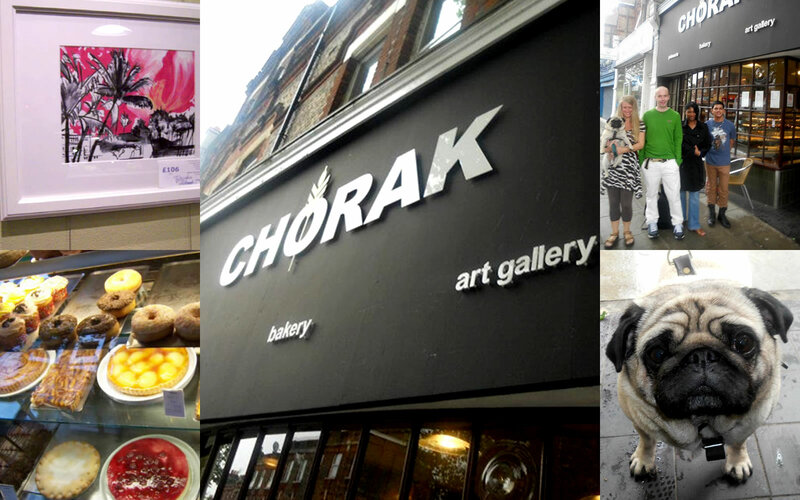 It’s at Chorak 122-122A High Rd, East Finchley, London N2 9ED. Look out for a whole row of sparkling picture quotes to take home. 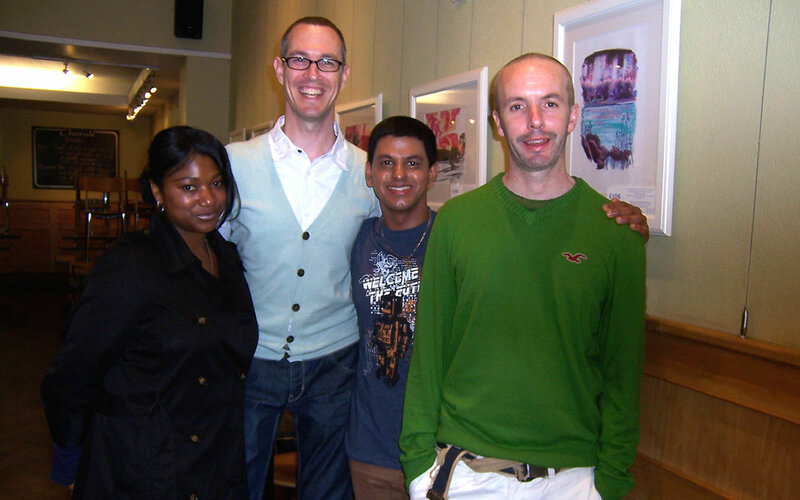 Douglas Rickard and friends at his summer 2012 art exhibition in Chorak, East Finchley, London. 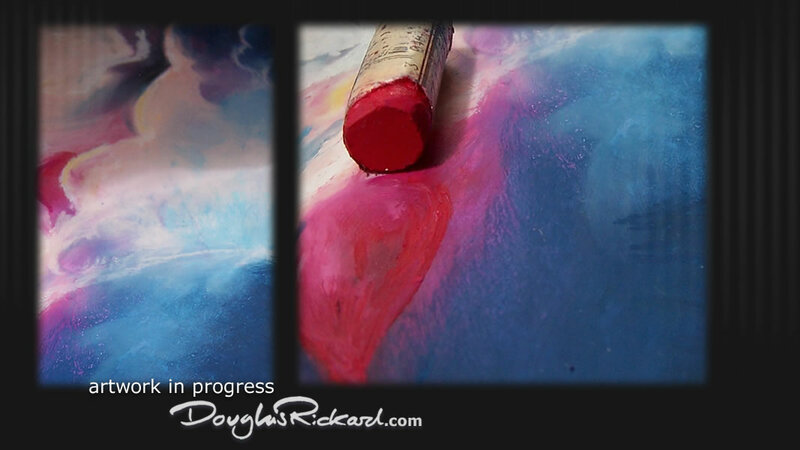 It will be the color red I’ll use to finish the next addition to my “Charcoal and Oil” WDCC Still-Life series. Out on the 26th July, but available this weekend, through my Valued Buyers Club, this sneaky looking Donald will be a Numbered Limited Edition of only six in three versions. And you’d better pray you have “Charcoal and Oil – Angel Donald Duck” to go with it! 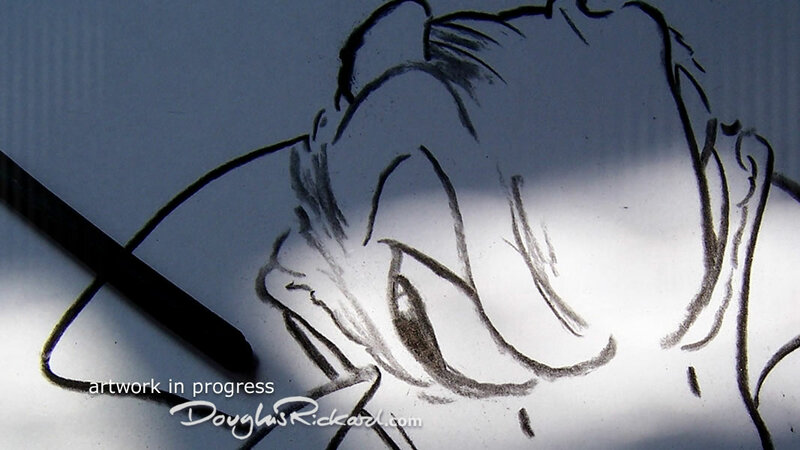 Devil Donald Duck drawing in progress. The British rain hasn’t actually stopped, but neither has my summer art exhibition! I’m so excited to have been offered an extension to my exhibit through July 31st at Chorak 122-122A High Rd, East Finchley, N2 9ED. Here I am pictured with friends there last week, proving you can still have fun even when it’s raining, especially when I’d put my all into the colorful artwork offerings served up inside. If you’re in London for the Olympics, I hope you’ll be able to stop by too! This week, here in North London myself (right,) with friends visited my summer art exhibit at Chorak 122-122A High Rd, East Finchley, N2 9ED. The Hawaiian landscapes simply made a warm and humid Tuesday evening feel even more balmy.